The Centre Manager North Eka Loco was among a ten member group (five staff and five others who are visually impaired) that were sent to Bali in 2018 for a two weeks training. 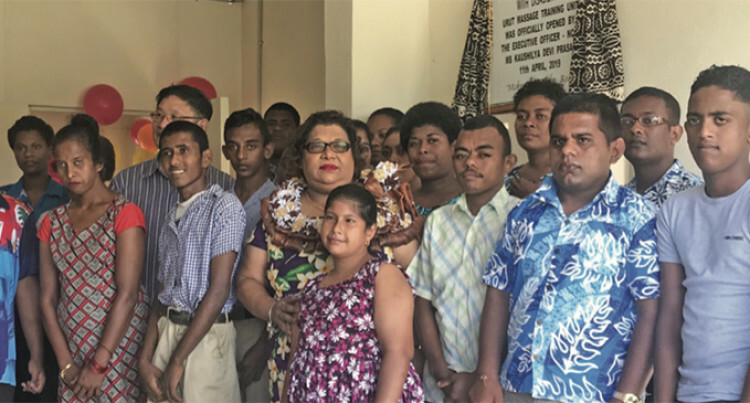 The National Council for Persons with Disabilities opened its new Urut Massage Training Unit in Labasa yesterday. “One of the action plans after returning from the training is to open a massage unit and also to run a train the trainers programme,” Mrs Loco said. “The course is particularly for those who are visually impaired but since we did not have the numbers we recruited our students into the massaging programme,” she added. Executive Officer North for the National Council for Persons with Disabilities Kaushilya Devi Prasad officiated at the opening ceremony. “The training programme is only for those with disabilities as they can use their skills for employment,” Ms Prasad said. Urut Massage is a traditional Malay massage which involves soft-tissue manipulation of the whole body to alleviate different types of conditions and ailments.